High torque Nema 34 hybrid stepper motor, 3 phase 6 wires, 1.2 deg. step angle(300 steps/revolution), 3.3A phase current, 7.6Nm holding torque. Low cost, high quality and manufacturer direct sale. Cheap and brand new Nema 23 bipolar stepper motor, phase current 1A and resistance 5.4Ω, 0.55Nm holding torque, 1.8 deg. step angle (200 steps/rev), body in 41mm, manufacturer direct sale. 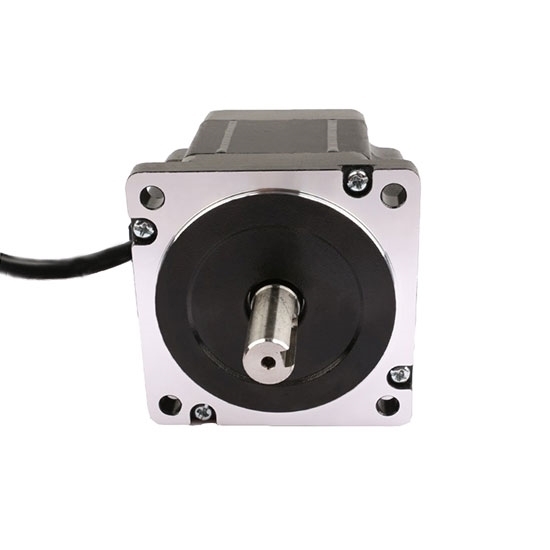 2-phase 4-wire Nema 24 stepper motor with high torque, 2.5Nm holding torque, 1.8 deg. step angle(200 steps/rev), 3A phase current, brand new and direct sales by manufacturer. 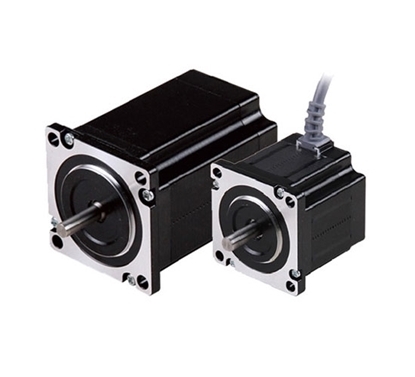 Low cost and high quality Nema 24 stepper motor, 2.5Nm holding torque, 1.8 deg. step angle(200 steps/rev), body in 88mm, direct sales by manufacturer. 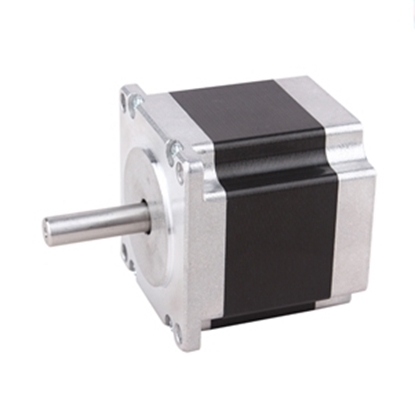 Nema 34 Stepper motor, 7.6Nm holding torque, 3.3A phase curent, 1.2° step angle, manufacturer direct sale. Confirm whether the working environment can satisfy the requirements on the specification, including temperature and humidity. The using temperature range of the stepper motor is generally 0~50°C, and its humidity is 20%RH~90%RH; storage environment range is -20°~70°C, and the humidity is 15%RH~95%RH. If the ambient temperature is high, it is necessary to reduce the current working condition or improve heat dissipation condition or select high temperature resistance motor. Generally, the stepper motor features UL B-level insulation grade. Considering interior and exterior temperature difference, the surface of hot stable stepper motor can bear 100°C, but it is advised to control it within 80°C. In case of special situation, it is necessary to strictly control the rise in temperature of motor. The stepper motor with large torque can be used to substantially reduce the working current to reduce the heating quantity of the motor. For common stepper motor, there are no protection measures. It cannot be used at dust environment. Stepper motor should not be in humidity and free of collision.